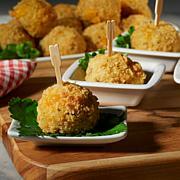 We all love fried food, but the fat? Not so much. This Airfryer's Rapid Air technology lets you cook nearly 2 pounds of the tastiest fries and other favorites using only a fraction of the fat and oil required for deep frying. Chicken wings, onions rings, cheese sticks ... use the 30-minute timer and adjustable temperature control to cook them all up in no time. 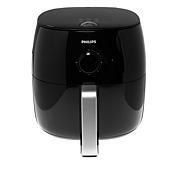 Airfryer does not work like a traditional deep fryer. 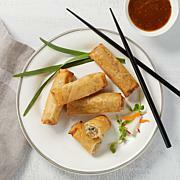 My air fryer is versatile, quick and food is tasty and done to perfection. AND theres no mess! 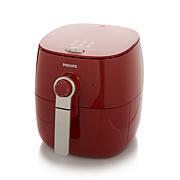 great airfryer.we used every day. 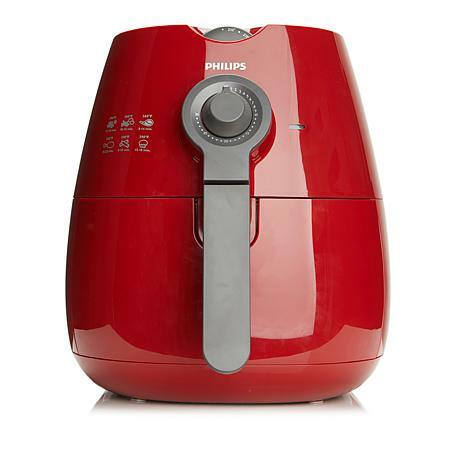 This is my second Airfryer unit, and the one that does the best job. Sometimes it pays to spend the extra for the better technology of a product line on the market. I plan to get the XXL Model in the future based on the operation of this one. I have to say the STARFISH design and basket make an absolute difference in the results, as my other unit is nearly twice as large as this, but not quite as good in the results. Can't go wrong with any of the Philips line in my opinion. Just the right size for a single person. So glad I purchased it. Easy to use and clean.